Michigan's Upper Peninsula... Pure Natural Beauty! The “UP”… it’s legendary for its beauty and tranquility. It’s referred to as remote, uninhabited, and untouched. Some call it “God’s Country”. Neither Todd or I had been to the UP. Though Lake Superior wasn’t originally on our trip itinerary, we couldn’t resist the pull to experience the southern Lake Superior shore before heading to Lake Michigan. From Sault Sainte Marie, we crossed the border back into the US. Though we really enjoyed our time in Canada, it is great to be back on US soil! 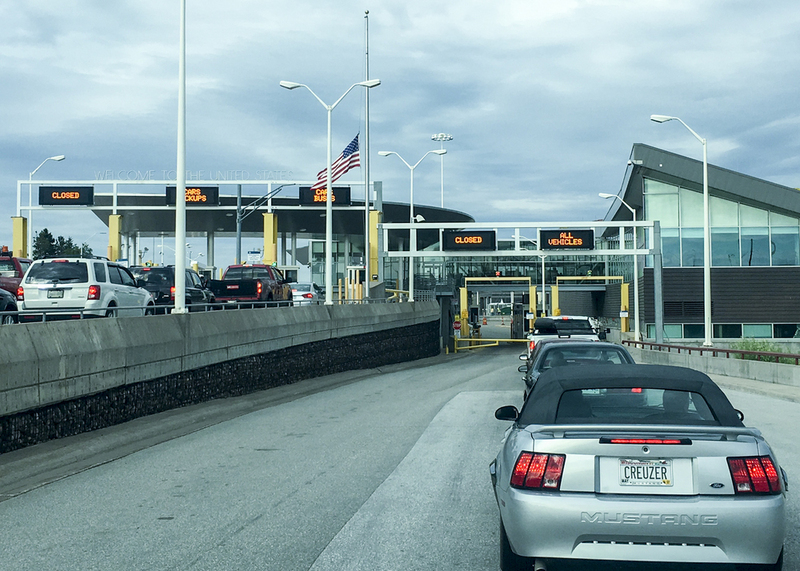 A note about crossing the boarder... no citrus fruit, peppers, tomatoes, or firewood (among other things) can be brought into the US. We were honest about all we had and didn't have to pay any fines, we just had to leave without our produce and wood. However, if items are found after a search there's a $300 fee... honesty pays! We followed HWY 28 about an hour to Newberry, which was our launching point for our 4 days in the UP. We stayed at the KOA Newberry, which is right off of HWY 28. We had a great experience at the KOA Newberry. Our site was fantastic… the best pull-through we could imagine… lots of space and privacy! The KOA Newberry isn’t as polished as some of the other KOAs, but it’s great staff and beautiful woodsy grounds make up for it… it’s a great campground! We split our UP visit into two parts. The first two days we used Newberry as our launching point and visited areas within 60 miles. The second two days we took a trip to Munising… the home of Pictured Rocks National Lakeshore. We wanted to experience Pictured Rocks at sunset and sunrise, so we left the trailer for one night and rented a motel in Munising. Below are some general observations followed by details on each of the areas we visited. There are a few towns with wide spans of wilderness in between. The UP is a place to get away and experience nature. The UP is remote in some areas. A number of times we drove 20+ miles without seeing a store or gas station. There are a number of dirt/gravel roads and large areas with no cell coverage. 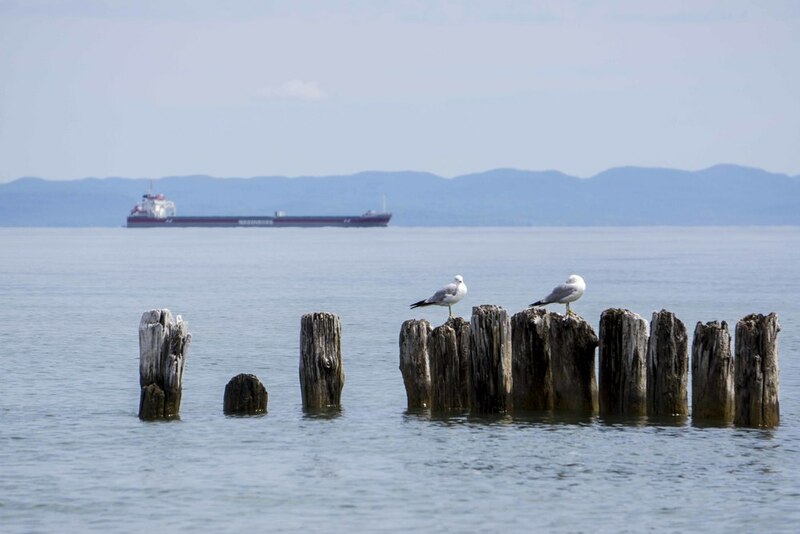 There are a number of motel options in Newberry and Munising, and a few in Grand Marais, but it’s important to set expectations before starting to look. From what we observed there are very few chain motels/hotels in the UP. Most are the little strips on the roadside. In some areas of the country these types of motels are really suspect. However, in the UP area, these types of motels are what’s available and generally seem to be clean, family run, motels for people on road trips. Most of the food options are fast food or bars that serve food. We did a lot of research trying to find the best restaurants and were shocked at the number of restaurants that had really bad reviews… almost all of them. Because of this and because there are so many areas where there just isn’t anything, we packed a cooler. Both Munising and Newberry had good grocery stores to pick up picnic supplies. We were really impressed with the parks we visited. 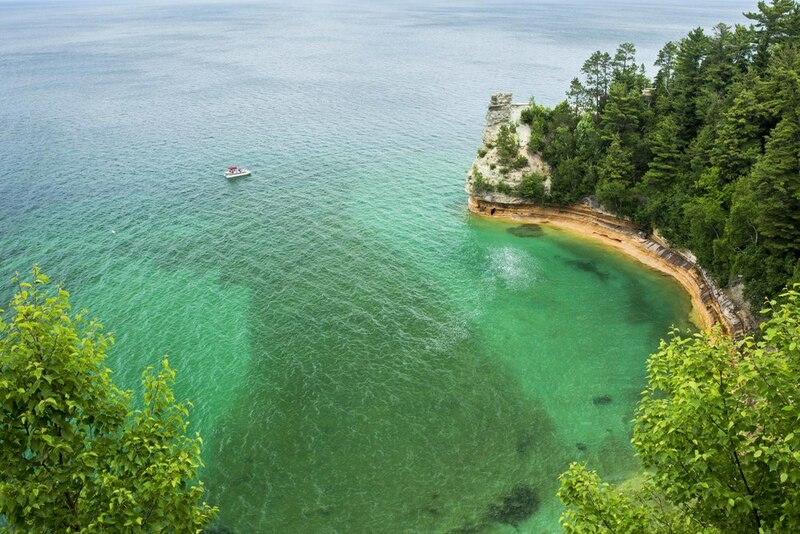 The National Park Service and the Michigan Park Service do excellent jobs. The parks were in great shape and there were plenty of rangers around to answer questions. We love waterfalls, especially Todd, and when we got to the UP we couldn’t wait to visit Tahquamenon Falls State Park. 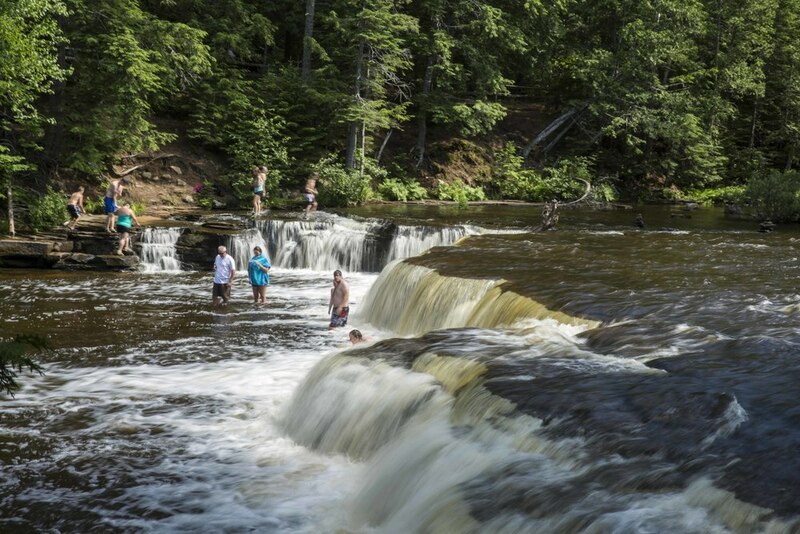 Tahquamenon Falls State park includes an upper falls and a lower falls with lots of hiking around and in between. 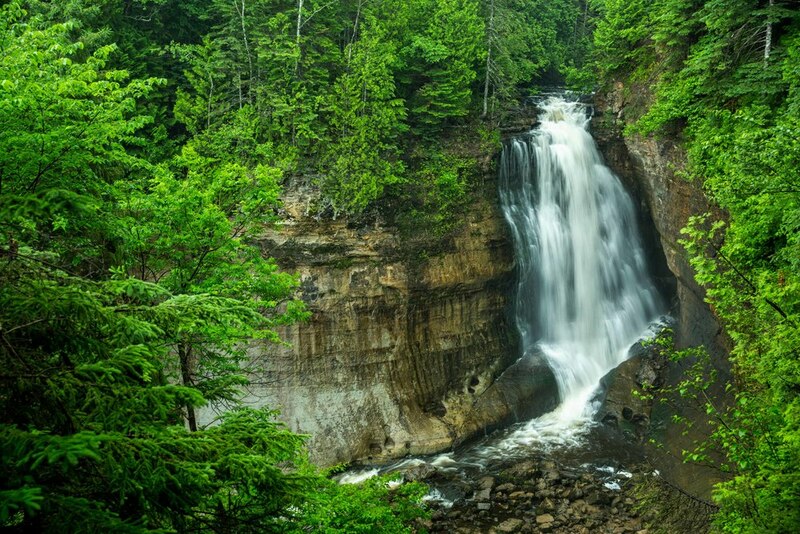 Tahquamenon Falls State Park is located about 30 minutes from Newberry on route M-123 in Paradise, MI. There are parking areas at both the upper and lower falls. A family day pass is $9, and there are other options for longer periods of time. We parked at the upper falls and took a short walk to check it out. It’s quite impressive and there are multiple lookout decks to view it from different angles. After spending time at the upper falls we decided to take the 4-mile trail to the lower falls. My Dad passed on the hiking and was kind enough to drive over to the lower falls to pick us up! There’s also a shuttle between the upper and lower falls so you don’t have to do the 4-mile trail twice. The shuttle is $17 for the first person in a group and $3 for each other person in a group and runs every 30 minutes. The trail is beautiful and a great workout… lots of up and down. There are lots of roots to navigate, so it may be challenging for people with knee or hip issues. The trail is well marked, but there are times when it gets quite narrow with high vegetation on either side. The lower falls is a beautiful and fun spot. There are lots of little falls and rapids. The water is shallow and lots of people swim in the river. The trail was muddy the day we hiked, and we enjoyed washing our feet and shoes in the river before heading back. There are clean washrooms, gift shops, and snacks available by the parking areas at both the upper and lower falls. There’s a brewery and restaurant at the upper falls that gets great reviews. We weren’t there at meal time, so we didn’t stop. There’s a snack shop with hot dogs and a great assortment of ice cream at the lower falls. We had a great experience at Tahquamenon Falls State Park and highly recommend it!! This was a situation where my initial reaction was totally wrong. 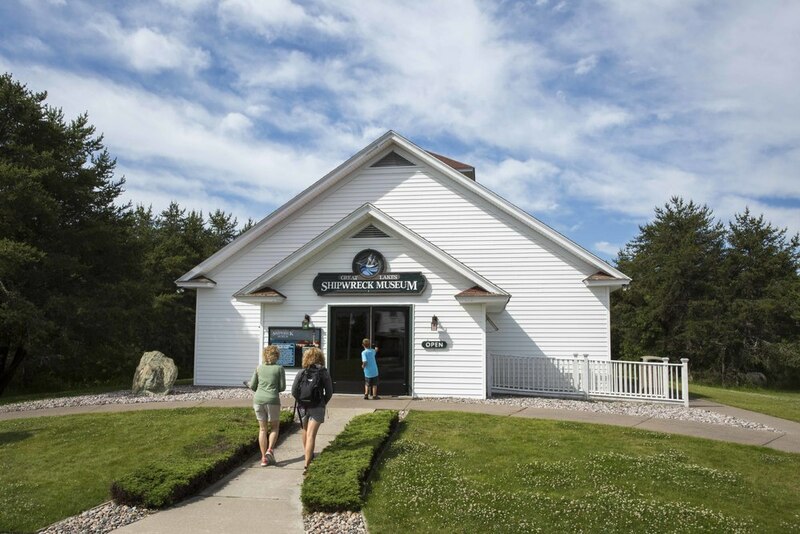 Whitefish point is great, including the museum! When we arrived we noted a cluster of pretty, quaint buildings, a lighthouse, and a deck leading to an amazing beach. After checking out the beach we headed to the museum building. The museum is one room and at first we thought the admission price ($13/adult and $9/child 5 - 17) is high, but then realized that it includes exhibits in the other buildings and a movie about the Edmund Fitzgerald. For an extra $3 you can walk to the top of the lighthouse for great views of the beach. The museum is excellent… I’m not a big museum person and I loved it! 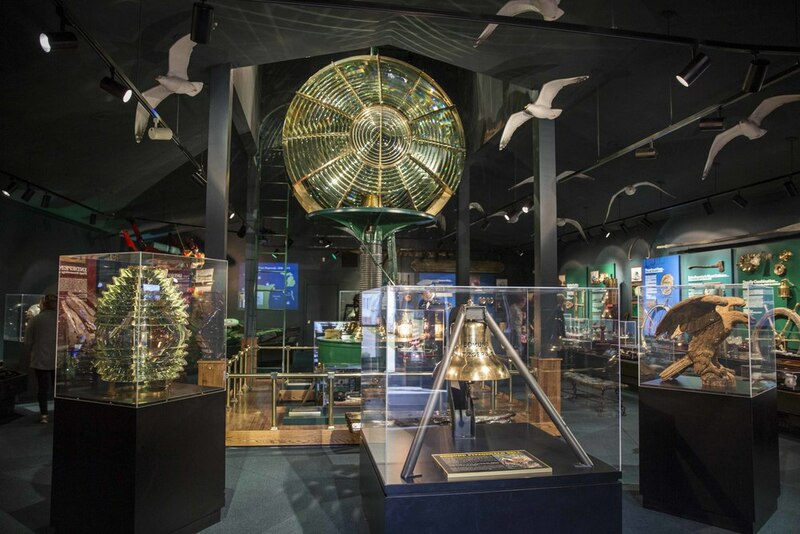 The museum gives a very engaging account of exploration on Lake Superior and the numerous shipwrecks in the area. After experiencing the museum, we went to the next building to watch the 15 minute Edmund Fitzgerald movie which is excellent. On the other side of the sidewalk is a small building with a Lego replica of the Edmund Fitzgerald (18,000 Legos!) and a Lego building station for kids… something for everyone! There are also clean washrooms and a gift shop with some snacks. Overall, the museum area is very well done and well worth the admission fee. The beach is also worth the trip... beautiful water, great sand, and lots of driftwood and rocks. We spent an hour just playing and building a fort with driftwood. There are also a couple trails and boardwalks to and around the beach. Pictured Rocks National Lakeshore covers a 42-mile span of lakeshore from Munising at the west end to Grand Marais at the east end. We drove from Newberry to Munising and stayed at Superior Motel and Suites. We chose to stay in Munising because there are more hotel and food options, and it’s where Pictured Rocks Cruises embarks from. We were pleased with Superior Motel and Suites… the rooms were spacious, very clean, and reasonably priced for the area. When we got to Munising our first stop was the Pictured Rocks National Lakeshore Visitor Center, which I highly recommend. The Rangers at the Visitor Center are very helpful and make great recommendations specific to the group, desired activities, amount of time, etc. 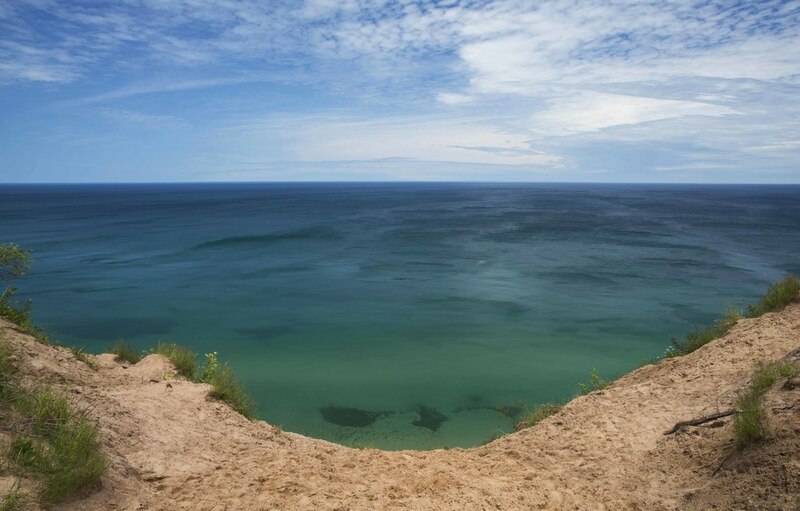 A couple items to note about Pictured Rocks National Lakeshore. Although it is 48 miles of lakeshore, the driving distance is much longer. The entrance points to most of the points of interest are off M-58, but the parking and trailheads are several miles, sometimes on gravel roads. The Rangers will tell you that there aren’t places to get food or gas on M-58. They are right. This is a place to pack a picnic, have plenty of water, and fill up the gas tank! During our trip to Pictured Rocks National Lakeshore we visited Sand Point, Miners Castle, Miners Falls, AuSable Light Station, and Log Slide. We also took a boat ride to experience Pictured Rocks from the lake. We would have visited more spots, but were dealing with less than ideal weather conditions. We took the 6pm Pictured Rocks Cruises 2.5-hour boat ride along the coast, and it was great! It’s not cheap ($38/adult and $10/child 6 – 12), but totally worth it… there’s no way to see all of the beautiful rock formations by land. Pictured Rocks Cruises does a nice job… the boat was clean and very comfortable, and the guide provided interesting and useful information about Pictured Rocks National Lakeshore and the surrounding area throughout the trip. Water and soda are available for purchase during the trip. We stopped at the Lake Superior Brewing Co. in Grand Marais after visiting the Au Sable Light Station and had a good meal. Daniel and my parents had pizza, which was really good. Todd and I both had Greek salads with poached whitefish which exceeded our expectations. The poached whitefish was really excellent! In Munising, we had dinner at Shooters Firehouse Brewpub. Shooters’ menu is small, but they do have homemade pasties which were very good and fresh. (Pasties are a traditional food from the area… the best I can describe them is similar to a meat pie with the gravy on the outside.) Between the five of us, we had pasties, a burger, a salad, and chicken fingers. The pasties and burger were the best of the selections. 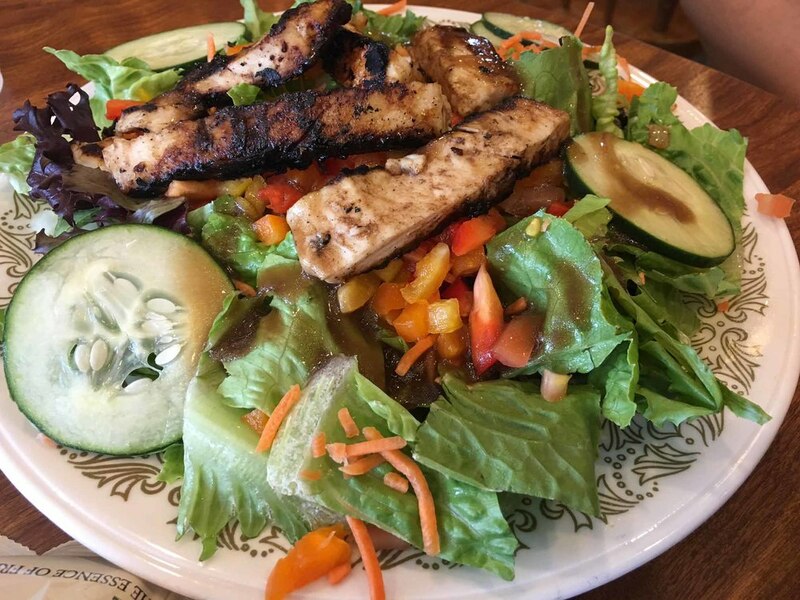 The salad was fine and we’d pass on the chicken fingers. 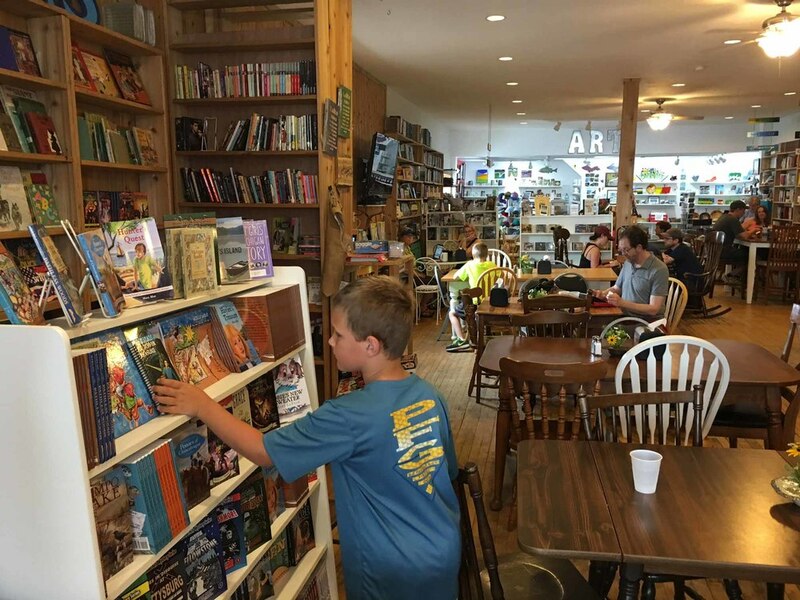 Before leaving Munising we visited Falling Rock Café and Bookstore. This is a great place… the food, vibe, and books make it a fantastic experience! 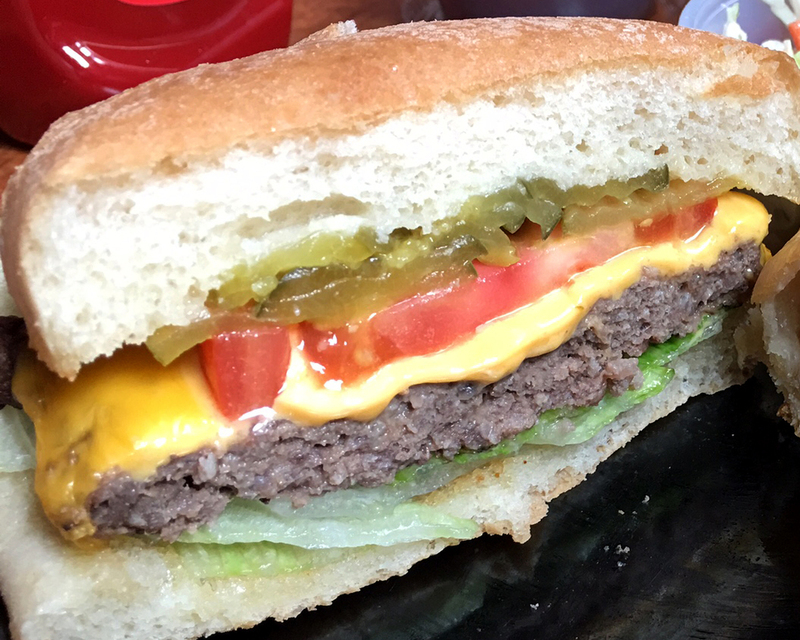 Falling Rock Café and Bookstore serves its whole menu all day, which includes breakfast sandwiches, a breakfast burrito, garden salads with multiple protein options, hot dogs, and an assortment of really tasty looking sandwiches. Daniel got a breakfast sandwich, Todd had the breakfast burrito, and I had a garden salad with chicken. They were all very good… fresh ingredients, made on the spot, and very tasty. The coffee is also great. While waiting for our food we had fun browsing the books. After we ate, Todd had to go to the hardware store and Daniel and I played Candyland… Falling Rocks has a bunch of board games available to play while relaxing in the café. This place is a gem! I almost forgot ice cream! The Frozen Flamingo has a great selection of ice cream. Falling Rock Café and Bookstore also has a great selection! 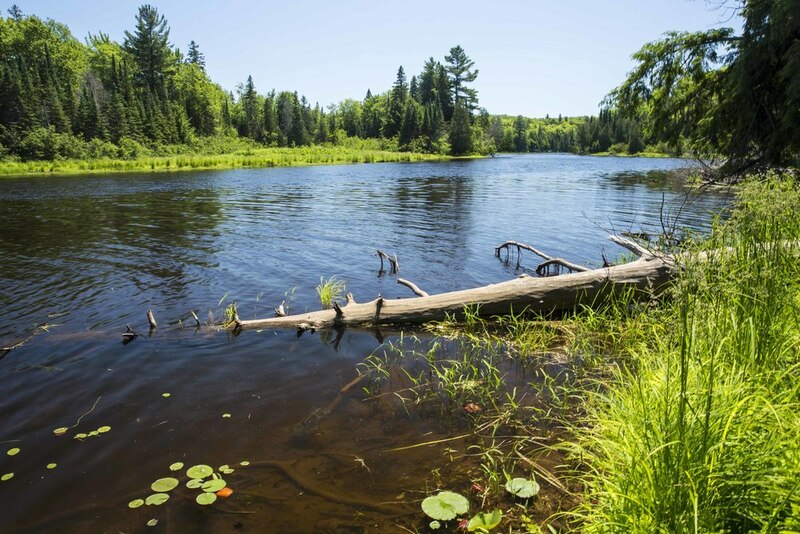 We loved the natural beauty of the UP and all of the outdoor activities available. It’s a great area to visit for nature lovers and hikers… just remember to pack a picnic! Older PostWhy Are Our Restaurant Choices At Least "Good"? ?